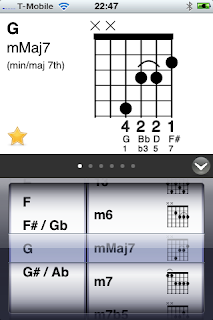 7 Chords 1.4 has just been released. Get it here. 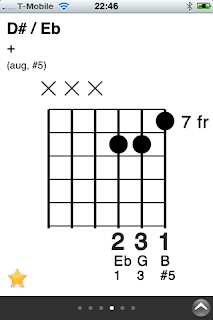 Fullscreen chord view: press the gray arrow button to switch to a full screen view of the current chord. Favorites: tap the yellow star to add or remove a chord to your favorites list. And thank you to all users for the great feedback!